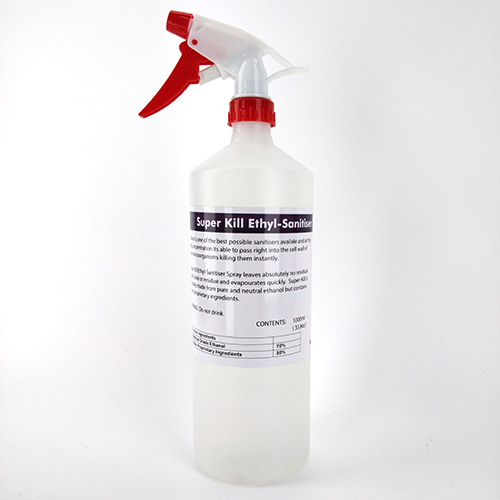 This sanitiser Spray leaves absolutely no residual smell, taste or residue and evaporates quickly and is made completely from non-toxic ingredients. This product is primarily made from 70% pure, neutral food grade ethanol and 30% proprietary ingredients. This product is sold in a convenient 1Litre spray bottle. It’s the perfect product for filling your airlock, sanitising fermenter valves, taps, or yeast propagation vessels. WARNING: This product is flammable.